Enjoy the warmth and beauty of a fireplace in any room of your home. Safe and effortless to use, Nu-Flame fireplaces are an economical choice for today's busy lifestyle. With an impressive selection of wall mounted fireplaces, freestanding floor fireplaces and tabletop fireplace models you're certain to find a design to enhance any setting. Browse our entire line of quality decorative ethanol fireplaces, fire fountains and bio fireplace accessories. The Nu-Flame line showcases the hottest contemporary Bio-fireplace designs available today. Enjoy high-end designer decor at affordable prices. 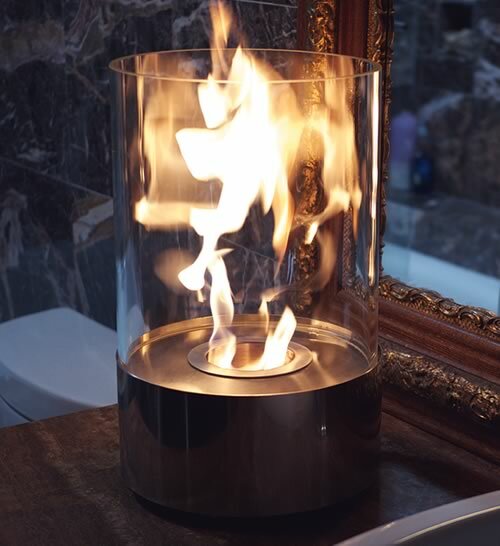 Bluworld HŌMelements is proud to introduce their new line of decorative vent free ethanol burning fireplaces. 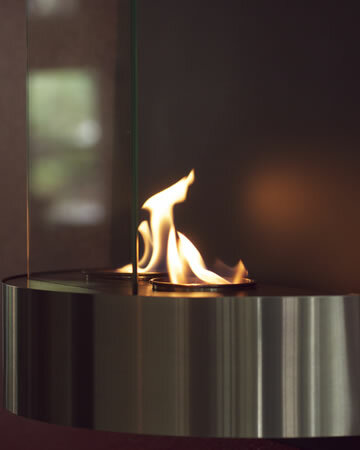 Nu-Flame truly is the newest form of fire combining the best of modern design, technology and ecology. Learn all about Bio-Ethanol Fuel safety and its use for care free operation of your Nu-Flame decorative fireplace.